Discussion in 'Nook Color Technical' started by rico2001, Jan 12, 2011. Now we are finally getting to the good stuff. 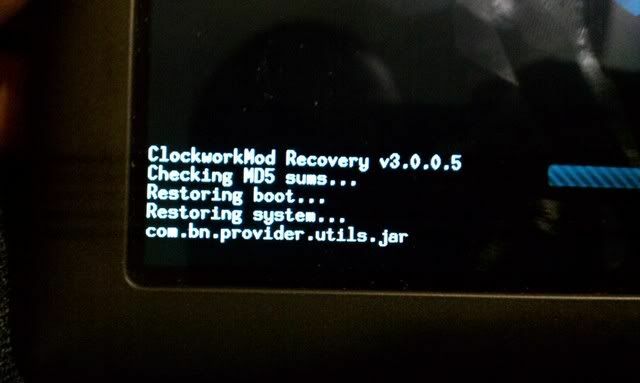 It's optional and use with caution, of course and you will need to install Clockwork recovery first. I may try it out later on, still need to install clockwork myself. The table is currently 300, 600, 950mhz until I can make it scale more than 3 steps. The voltage for 950Mhz is less than at stock for 800Mhz, so you should see better battery life even though we're overclocked. I'll try to install all 3 new kernels today, report which worked, which didn't and post some benchmark result. great work Rico, i hope the wife allows me to root or i will have to get my own!! Wow! How did I miss this yesterday. BIG news! Update: All went well...until it didn't lol. All the kernels make the NC super fast, booted and ran smooth at all (3) speeds: 900, 950 and 1Ghz. My issue was, I got sloppy and began not to wipe the cache between kernel versions. Long story short, I had to wipe data and return back to unrooted 1.0.1. Starting all over for me... wonder if the restore will work. Let me try. Wow, this is turning out to be a very fruitful experiment. Thanks for being so valiant! Did you hear I got the third today? I was so happy I hugged it for 5 minutes. OK, not 5. Actually I just kind of kissed it and left it at that. No biggie, it happens. I've bricked a device or two in the past so these bumps in the road are small potatoes. Maybe I'll actually try the auto-nooter this time around lol. That's why I always say never get attached to the way toy have your device setup when you are working with risky experimental tweaks and roms. Big risk, big reward. The speed was incredible, while I had it. It was so snappy, like lightning fast. Anyway I'll be back up in no time. No I haven't heard, congrats on the third "little one" in your household. Have you downloaded the autonooter yet? You might have seen the thread that it's really SLLLLOOOOOW right now for some reason. No I never have, first time now and yea it's a bit slow, oh well. Holy S! @# the restore actually works. Took about 20 mins.... and I'm back in business. I love recoveries. Now lets messing it all up again... I mean try these kernels one more time. Was it hard to get the lip prints off? Just want to be prepared, 'cause I just might be moved to kiss mine. 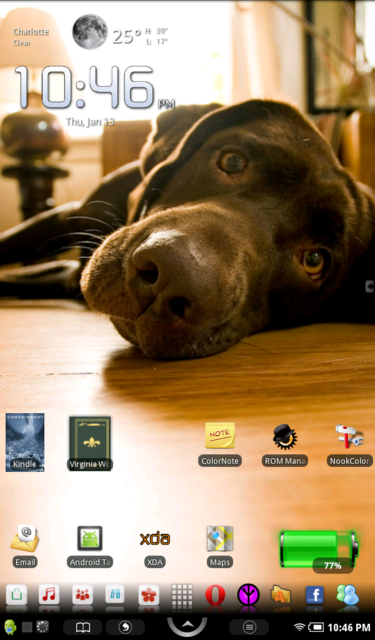 I prefer doing all the work in CWR, outside android (not rom manager inside android os). 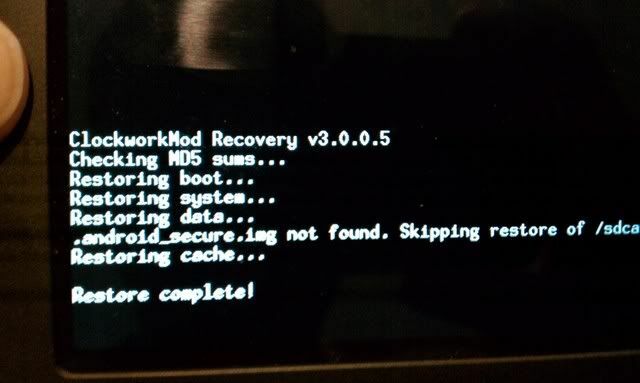 Clear the cache partition and dalvik cache (in advance menu), then flash kernel in CWR. DO NOT WIPE DATA/FACTORY RESET.